Is your property manager losing money and failing to maintain your property values? You need an award winning, veteran property management company with a track record of strong results in Oakville, and a team that promptly address issues, mitigate potential problems, and make smart investments that enhance property values. Oakville is known to cater to a younger demographic than most Canadian cities. At the time of the 2006 census, the city’s population contained almost double the number residents under the age of 19 (28.1 percent) compared with retirees (11.7 percent), with 24.4 percent of minors living with their parents. Over the past decade, many of these young people will have moved out of their family homes and into new homes, apartments and condo developments in the area. Young professionals living in condominiums today are looking for service excellence from the property management company that their board chooses to work with. Millennials who rent are happy to stay in a well-maintained, safe and clean building but won’t hesitate to shop around if they aren’t satisfied. 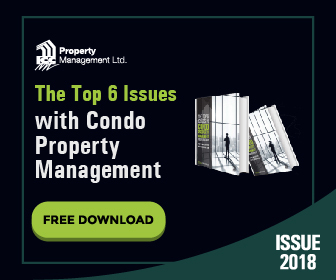 Keeping people happy is par for the course for the best property management companies in Oakville, and ICC® Property Management always provides top-quality service. We have experience dealing with properties ranging from large high rise buildings to smaller townhome complexes – and everything in-between. Keeping your vacancies low is a top priority. Your condo, commercial, residential or rental property deserves a residents-first approach which is why we believe in always keeping residents comfortable and safe. The hands-on approach of our founder Steven Christodoulou ensures a high level of excellence that small single property owners and larger multi-unit/property owners can both rely on. Our integrity and the care that we invest in every property that we manage makes a big difference. Our services will support you in the areas where you need us the most, with cost-effectiveness in mind. Condo property management in Oakville doesn’t get better than this. Residents should always be able to reach someone in the case of an emergency. We provide your residents with 24-7 support via our emergency hotline. An emergency can strike at any time and we can help ensure the safety of your structure and everyone inside of it. As an Oakville property management company with strong values, ICC® believes in integrity, transparency, and the importance of full compliance with the rules, regulations and legislation that govern our industry. Whether you need help with maintenance, housekeeping, or general upkeep, we employ a skilled team of experts who will keep your property safe, organized and current. ICC® believes in making spaces comfortable for those who inhabit them while increasing property values. In addition to keeping your property attractive, clean and well-organized, ICC® can also provide you with high-quality financial services. We can handle tasks that include the management of contractors and payroll, rent collection, and banking functions such as taking deposits to your branch. We know that to manage a property successfully, receipts must be collected when they are due and disbursements must be made on time. ICC® Property Management has the dedicated team that you have been looking for, you deserve an award-winning Oakville property management company to cover all of your property’s management needs. Contact us to learn how we can help you get the most out of your real estate investments.